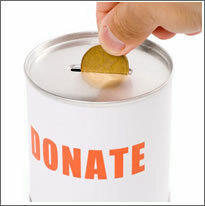 Indian Center for Advance - ment of Research and Education, Haldia (ICARE) set up in 1995, is a non-profit making voluntary organization. ICARE is solely dedicated to promote, establish, run and maintain educational institutions of excellence for development of infrastructural facilities at Haldia in the field of education to keep pace with the rapid industrial development in this region. This institute conducts Bachelor of Dental surgery (BDS) course from the session 2007-08 with the affiliation of West Bengal University of Health Sciences and has been approved by the Dental Council of India. The Nautical Science Institute was established in 2002-2003 in collaboration with Fosma Maritime Institute and Research Organisation, Mumbai. It offers a 3 years Bachelor in Nautical Science course. Haldia Law College was established in 2002-03 to provide opportunity for the aspiring students of this and the adjoining states as well as for augmenting and betterment of legal education in West Bengal. 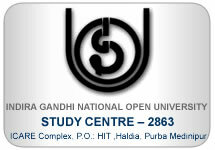 The institute was established in the year 2004-05 by this society. The institute offers BBA (H) and BCA (H) course with the affiliation of West Bengal University of Technology, Kolkata. Vidyasagar Primary Teacher�s Training Institute was established with the approval of West Bengal Board of Primary Education. The institute has also got the approval from National Council for Teacher Education (NCTE). It has already emerged as one of the best Primary Teachers� Training Institutes in West Bengal. It is a Central Government funded state-of-the-art Research & Development Centreof almost 1 lakh sq ft area. 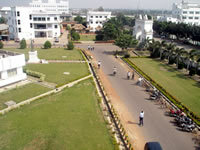 It is a unique venture amongst the private engineering colleges of Eastern India. The objective is to foster institute-industry partnership in the field of reaseach & development with the help of students and academicia. The hospital is to be situated beside the river Haldi with beautiful ambience to cater to the best health services for all segment of social population. The hospital will have 300 beds at first. Council (WBNC) vide letter no. 4946/ 463/ NC dated 01-03-2011. Third year renewal to conduct GNM course permitted by Indian Nursing Council (INC) vide F.No./ 18-32/5299-INC dated 08-08-2013.